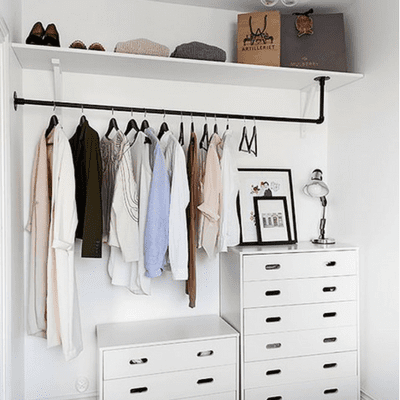 We all need bedroom storage solutions, and as the bedroom is one of the most used rooms in the home, it’s likely to be the room with the most belongings. But the question remains. Where will it all go? 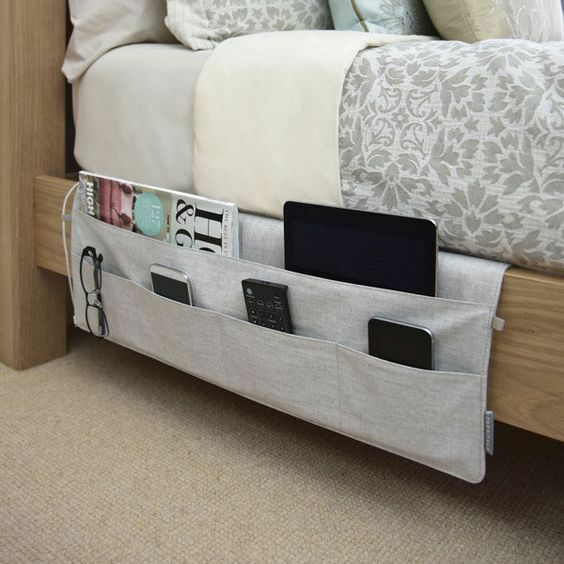 Save time, money and hassle with some easy and simple bedroom storage solutions that can simply transform your room. 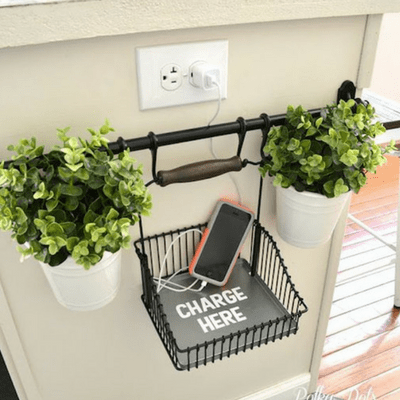 Create a little charging area for you devices by attaching a basket on your desk, then you can easily charge your phone without the worry of tripping over the wire or having less floor space. In this compact basket all your charging essentials are in one place and even better in easier reach. Have you ever misplaced your keys? You sit and say to yourself “i’m pretty sure I left it right there?” Now you can definitely find them with easy to install dud door-handles, with a dud key too. 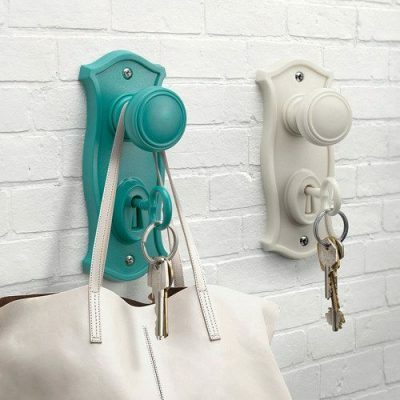 Not only can you attach your key to the key ring but also you can use the door handle to hang up your own bag too. Then you can have more room and easily find everything you need just before you go out the door. Embrace the power of shelves and the amount of space they can create, they can store things that may not need to be used for a long period of time. Additionally, in smaller bedrooms they can be effective by adding a clothes rod to act as a open wardrobe. Aesthetic and easy! Create a sectional holder for essential leads, even add labels to divide them up and make it easier to find. This can then be stored in a drawer or on a shelf so it is in reach and also makes it easy to find exactly what you are looking for. The corners of the room can be the most unused space as it is the most difficult to acquaint. 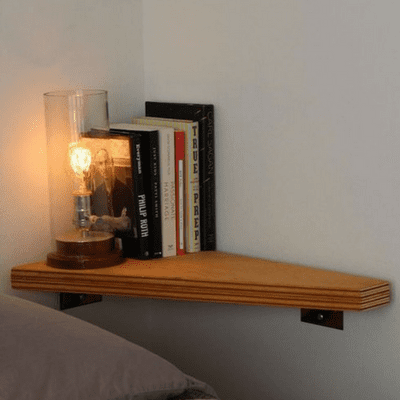 But no need to worry as you can simply put up corner shelves, especially near the bedside, then you can have your own space saving night table and you have created more room too. Make full use of the storage space you have on the back of your door, easily install racks or hooks that you can store all your toiletries such as lotions and creams. 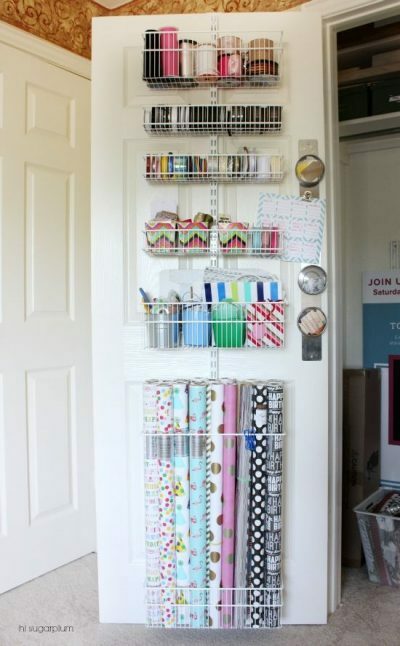 Or you can store other items that maybe only come out at seasonal periods such as wrapping paper and ribbons.